ASF, stands for Advanced Systems Format, is a digital auido and video container format mainly used to stream audio or visual content. Though it's fully compatible for Windows Media Player, if you intend to transfer ASF to other portable devices for future playback, you'd better convert ASF to MP3 beforehand. Here we collect 3 ASF to MP3 converter tools for your reference. As far as I know, the most comprehensive and powerful video converter is Wondershare UniConverter (originally Wondershare Video Converter Ultimate). 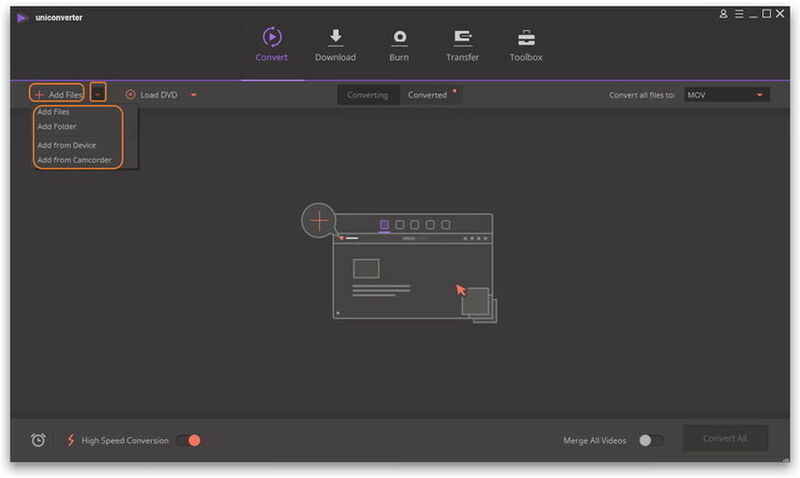 With it, you can effortlessly convert ASF to MP3, MP4, MOV and other 1000 formats, freely edit your videos to your sytle and more. Now let's see how it conducts video conversion below. Convert ASF to MP3, AVI, MKV, MOV, MP4, and other 1000+ formats. Convert ASF files to optimized preset for almost all of the devices. 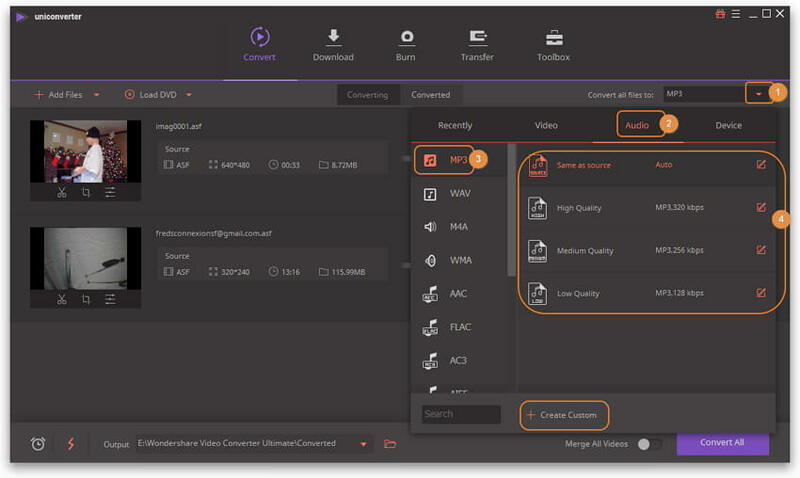 Edit, enhance & personalize your ASF video files. Burn ASF videos to playable DVD with attractive free DVD templates. Step 1 Add files to Wondershare ASF converter. Download and install Wondershare UniConverter (originally Wondershare Video Converter Ultimate) to your computer via the download button above, then launch it. Click in the top left to add your desired ASF files to the converter, or you can directly drag and drop files to the primary interface. Step 2 Choose MP3 as the output format for ASF to MP3 conversion. Click the icon from the Target section to expand the output format list, click the Audio tab and choose MP3, and then select the auido resolution in the right to confirm the output format. Note: If you want to have customized MP3, you're optional to click Create Custom to set bitrate, sample rate, channel, etc. Step 3 Choose MP3 as the output format for ASF to MP3 conversion. Hit the Convert All button when everything is set and the conversions will be completed automatically. Now all you have to do is to wait and hit to get the MP3 videos! 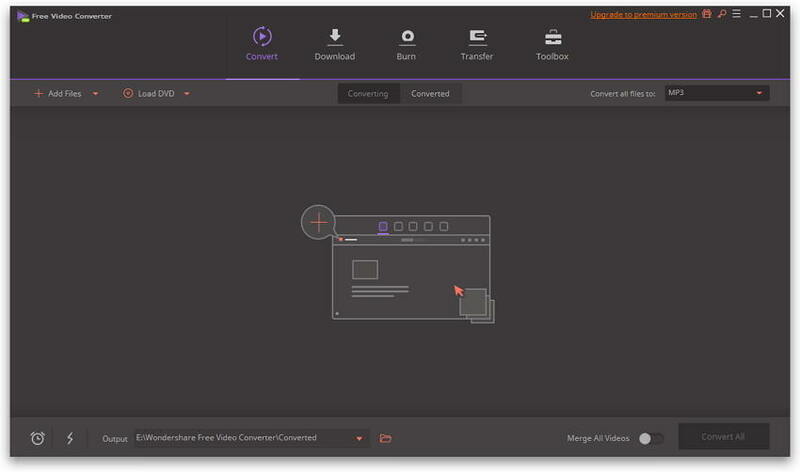 There's also an free verison of above-mentioned professional video converter: Wondershare Free Video Converter, which shares almost the same functions but has several limitations in use. You can download it for a free shot. Zamzar is just a widely-used online converter tool that supports various video and audio formats conversion and there's no exception for ASF and MP3. It's also easy to use that requires 3 steps only. Visit https://www.zamzar.com and select your target ASF file from your computer. Click the drop-down icon beside Convert files to: to choose MP3 as output format. Enter your email address and click Convert to proceed. After a while, you'll receive the converted ASF file in .mp3 via email. Convert video without size limitation Yes Yes No, at most 50MB for free version.